Modern day fables isn't some thing that is easy to write. The thing about writing such short stories it takes a lot of imagination to turn some thing that is like a fairy tale to some thing that suits the current modern day genre. But Tales of Falling and Flying some how, found its unique voice. And with that, I am glad that I pick up this book and read it in 2 days. From the first short story 'The Dodo', I was in a good way speechless that this story got me thinking. There's a reflection in this story that touches on human nature, even though the story is about a dodo bird who thinks is a dodo bird but actually is a chicken since dodo birds are dead but deep down inside, its a dodo bird. Did I get you confuse? Maybe, but if you read it (in which I won't reveal much here), the metaphor is much deeper here. This is how Ben Loory found his mark as a writer. He writes what he wants to write. 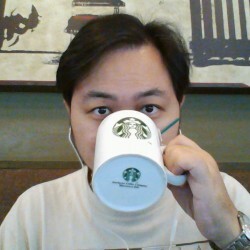 He writes about sad tales, love stories, science fiction with a touch of humor and even fantasy. He writes about animals that talks and do weird things. He writes about people that do weird things. In short - these are weird stories and its not a bad thing. It is his way that I love so much about it, that brings fresh new voices in the writing genre and I doubt there is anyone out there that really knows how to write a good modern day fable stories none other than him. 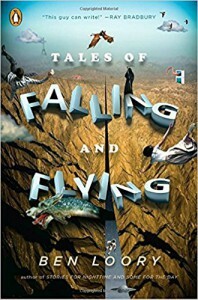 If not for a few stories which I do find it not to my liking, I would have given this a 5 rating but with 40 short stories in this book, 4 rating is what I would give plus I would recommend anyone who likes modern day fable tales or some thing that is weird.